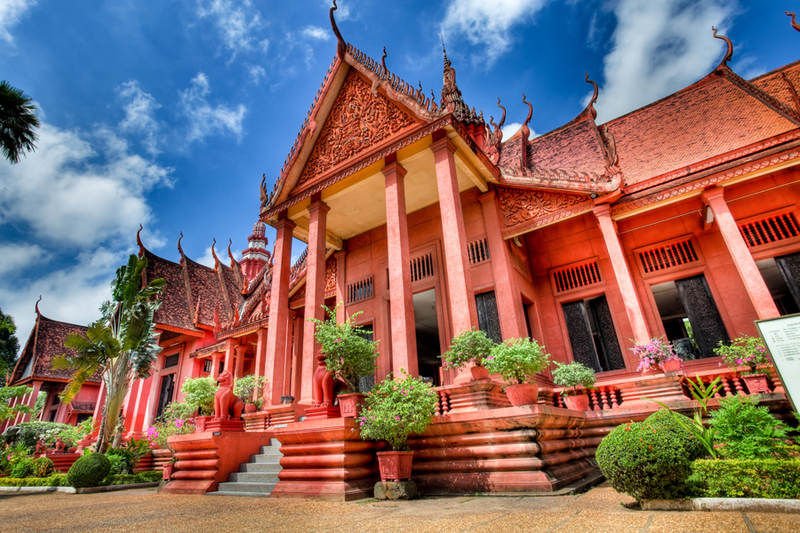 Colonial towns, sparkling sands and jungle-clad mountains, Cambodia ticks all the boxes for adventurous travellers. 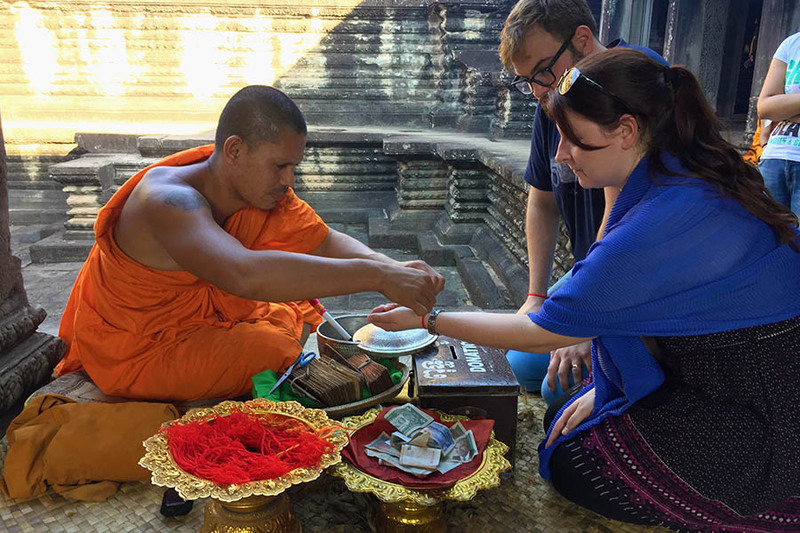 From the charismatic capital of Phnom Penh, travel north to the Khmer temples of Angkor Wat, east to the backpacker hub of Kratie, or south to the Cardamom Mountains. When you reach Kep on the South Coast, collapse in a hammock and watch the sun go down over the Gulf of Thailand. At the confluence of three rivers, Cambodia’s capital is gritty, chaotic and full of charm. To see the sights, weave around the city in a cyclo and see the golden spires of the Royal Palace gleam in the morning sun. Visit the towering white stupa of Wat Phnom, pick out the colonial yellow of French-built villas and notice the ornate motifs of the Khmer pagodas. For a break from the traffic, stroll along the riverfront and stop for a bowl of dumplings or a western snack before diving back into the melee to snag some souvenirs in the Russian Market. To learn more about Cambodia’s past, take a tuk-tuk to see the harrowing human skulls in the Killing Fields of Choeung Ek. 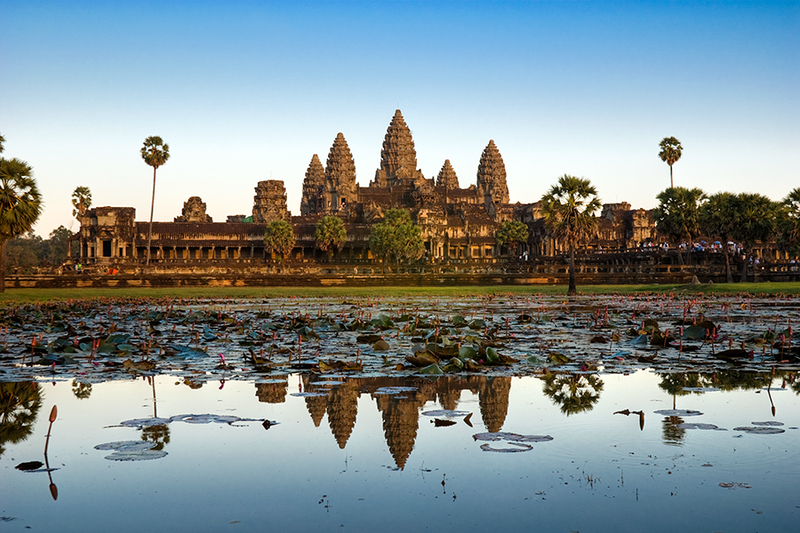 A little town with a lot going on, Siem Reap is the central hub for trips to Angkor Wat. Home to graceful guesthouses and top-notch cuisine, it’s a popular place to spend a few days while you tuk-tuk to the temples and explore the ruins of a lost civilisation. 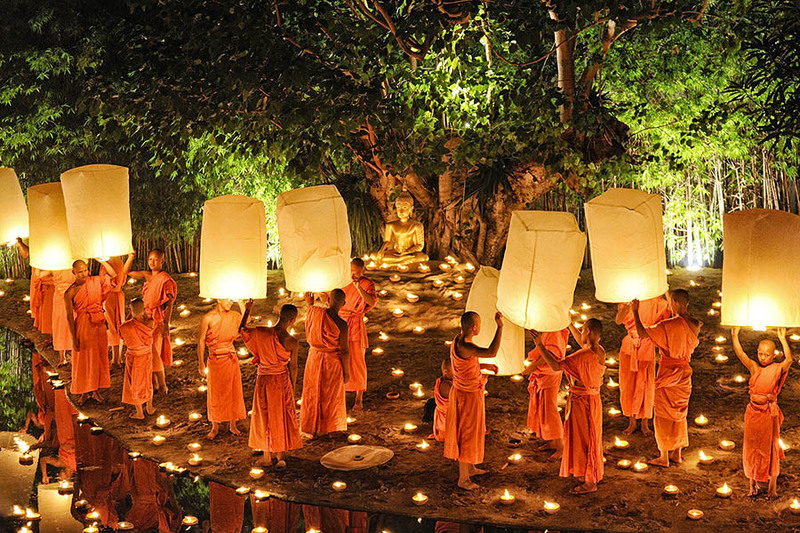 If you feel like blowing the budget, swap the tuk -tuk for a microlight or hot air balloon. Back in Siem Reap, stroll along the boulevards, browse the galleries and relax in the lounge bars. 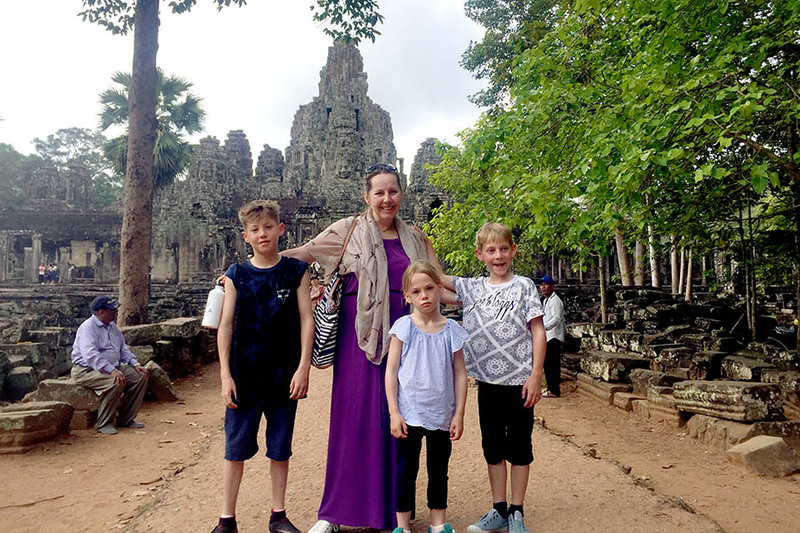 For a change from temples, you could ride a quad bike across the rice paddies, cruise past floating villages to the city of Battambang, or sail across Tonle Sap – a beautiful blue lake which shrinks to a river during the dry season. 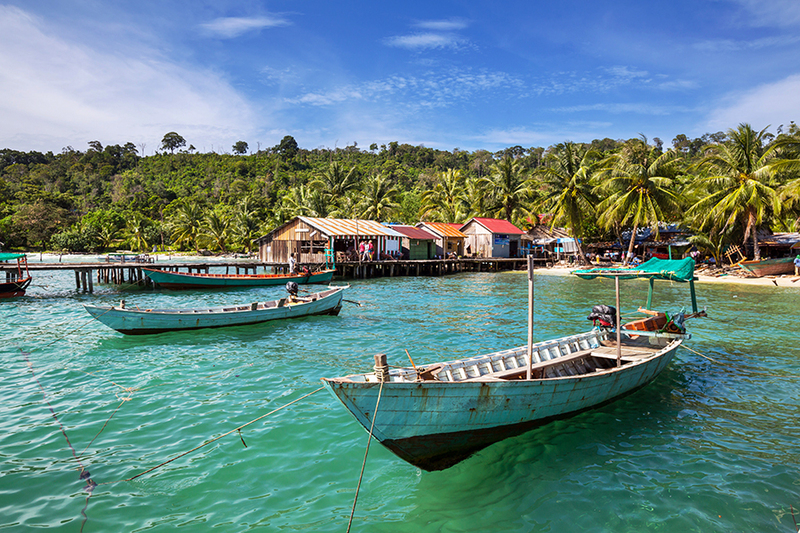 Tropical beaches, castaway islands and craggy mountains, Cambodia’s South Coast is well worth the journey. 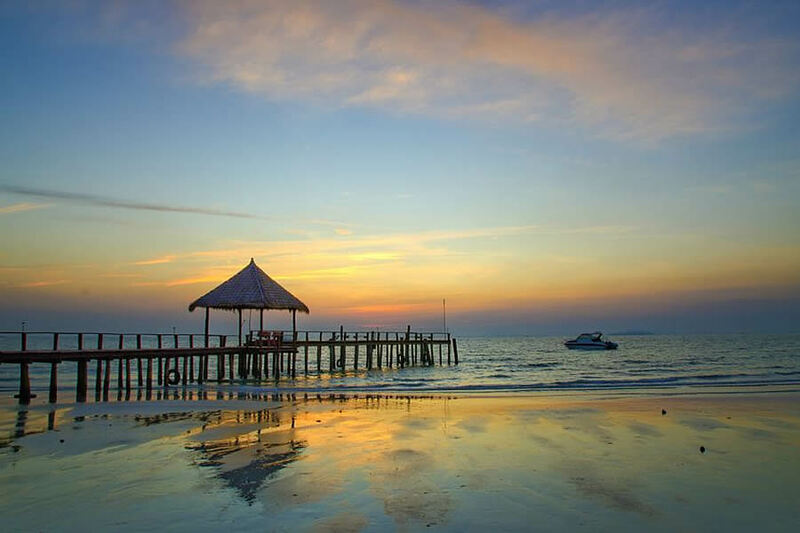 Many come for the sunsets of Kep or the white sands of Sihanoukville, where you can join the beach parties or scuba-dive with seahorses. But if it’s complete seclusion you crave, hop on a boat and sail to a misty offshore island. Travel inland from the beaches to cycle past watermelon farms and rice paddies, or clamber through the tropical forests of the Cardamom Mountains. The riverside town of Kampot makes a chilled-out base for a few days and, if you’re crossing into Vietnam, Chau Doc is a few miles further north, where you can nip over the border in a riverboat and cruise all the way to Phnom Penh.